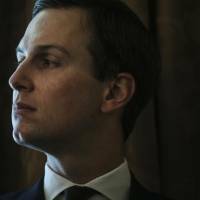 NEW YORK - In March 2016, as the U.S. foreign policy establishment shunned presidential candidate Donald Trump, his son-in-law, Jared Kushner, was invited to lunch for a think tank urging engagement with Russia. The main attraction of the March 14th event was Henry Kissinger, the center’s honorary chairman, who gave a talk that included analyzing U.S.-Russia relations for a small group of attendees. Kushner, who remained quiet and unobtrusive during the lunch, introduced himself to Kissinger afterward. He also met Dimitri Simes, the long-time president of the center and publisher of its magazine, The National Interest. Questions have recently been raised about the center for its board members’ ties to Russia, as well as its own 2015 interactions with Maria Butina, a woman more recently accused of conspiring to set up a back channel by infiltrating the National Rifle Organization and the National Prayer Breakfast. Kushner meeting Simes at the lunch turned out to be a solid match. In the weeks following they discussed the possibility of an event hosted by the center to give Trump a chance to lay out a cohesive foreign policy speech. Simes’s organization, more pro-engagement with Russia than most in Washington, had invited other presidential candidates but none accepted. And Republican foreign policy analysts feared associating with Trump could end their careers. The center had the imprimatur of Kissinger, however, because it had been established by Richard Nixon, who named him national security adviser. 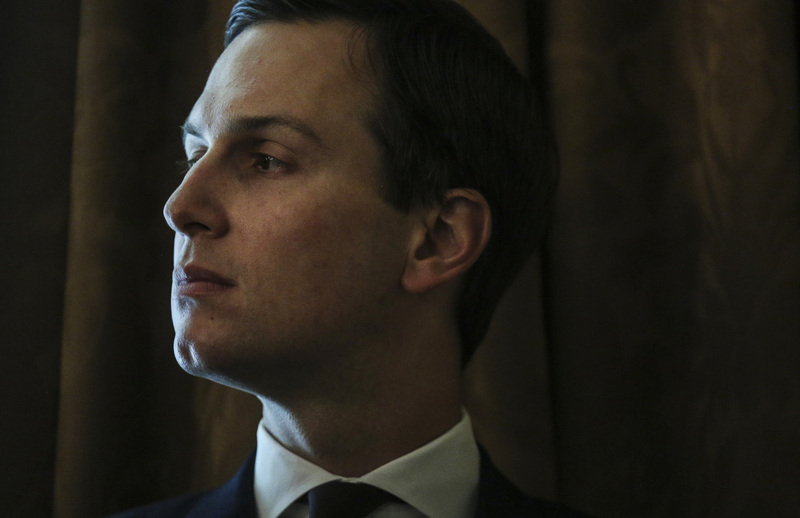 Kushner and Simes organized Trump’s “America First” speech at the Mayflower Hotel the next month, with writing input and a guest list from the center. The account of the March lunch and the planning for Trump’s speech comes from people who were in attendance and others who were familiar with the events. Kushner’s lawyer, Abbe Lowell, declined comment. That was a significant shift. Jeff Sessions, then a senator and now attorney general, had been the candidate’s lead national security adviser in a small group that included Carter Page and George Papadopoulos (who have become a focus of the investigation of special counsel Robert Mueller into Russian interference in the election). The center’s work spans Russia, Asia and the Middle East, as well as terrorism and national security, according to its website. Simes’ advocacy of engagement with Russia is in keeping with a generally skeptical view of the efficacy of U.S. military intervention. Its magazine has published articles opposing U.S. intervention in Syria and in qualified support of the Iran nuclear deal. Not all its board or staff hold identical views on issues. But Simes’ role is unique. He is president and chief executive officer of the organization, publisher of its magazine, and a member of its board and advisory council. In a 2013 panel discussion with the Russian president, Simes said, “I fully welcome President Putin’s tough stance, not because I am not a patriot of the United States, but because I believe that with regard to the great powers, baby talk is not the way to agreement. You need to understand what you can expect from another country, and you need to understand where there is resistance,” according to a Russian transcript released by Putin’s office. The National Interest’s advisory council has included Alexey Pushkov, formerly the head of the Russian Duma’s international-affairs committee, according to its website. Both the center’s journal and its board members have had dealings with Butina. In 2015, Simes helped arrange a meeting between Butina and Alexander Torshin, an ally of Russian President Vladimir Putin, with Stanley Fischer, then Federal Reserve vice chairman, according to a Reuters report. Butina also asked Hank Greenberg, former CEO of AIG and the center’s then-chairman, to invest in a flailing Russian bank, according to the Daily Beast. Greenberg didn’t make the investment. He and other members of the center’s board do business in the country. Simes’s friends describe him as an open person whose job involves contacts in both Russia and the U.S., and they find his interactions with Butina unsurprising. In his writings for The National Interest, he was critical of President Barack Obama as relations with Putin deteriorated, and has been comparatively bullish on Trump’s international efforts. The organization’s board and staff represent a diversity of viewpoints and Simes’s perspective isn’t universally shared. Kushner’s invitation to the March lunch came from a Time Warner executive. Richard Plepler, CEO of television network HBO, and his boss, then-Time Warner CEO Jeffrey Bewkes, sit on the board of the center. Attendees that day included Jeffrey Zucker, president of CNN; the center’s chairman, Gen. Charles Boyd; and Drew Guff, who invests in Russia through his firm Russia Partners. As Kushner planned Trump’s April speech, he relied on Simes for the guest list. Richard Burt, one of the organization’s directors, helped write the speech. In February that year, Burt registered as a lobbyist for a gas pipeline venture that was 50 percent owned by Russia’s Gazprom at the time. The speech was planned for the National Press Club but was switched to the Mayflower Hotel to accommodate a larger crowd. While the center wanted to have a smaller event with print journalists, Kushner and the Trump campaign wanted room for television cameras. In the end, there was both a public and private event.